When your hubby hasn’t been getting home until 7-7:30 p.m. since the year started and you just want a burger on a Friday evening. We grill almost every Friday or Saturday evening since we’ve started this Whole30 business. 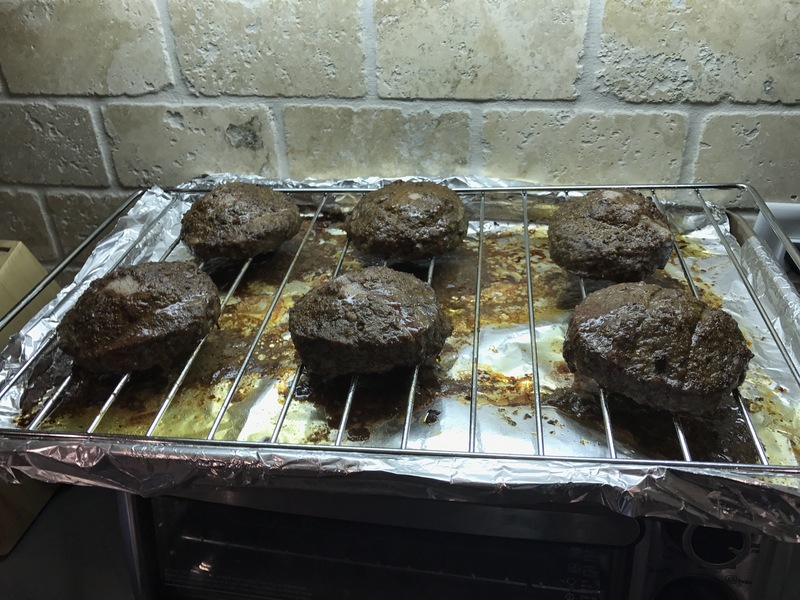 I mean sometimes we grab dinner somewhere or just eat whatever but a lot of Friday evenings Jacob comes home and grills burgers or steaks for us and it is delicious. 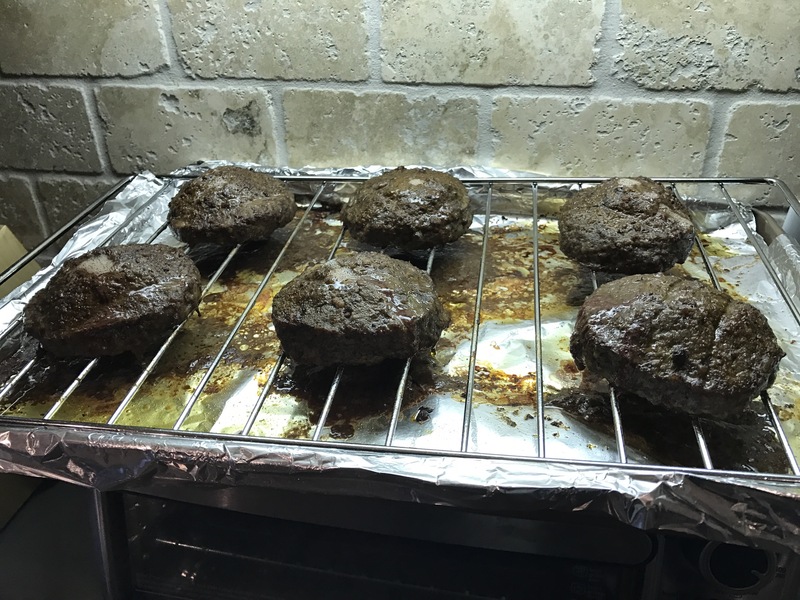 So I looked on faithful Pinterest for “oven burgers” and there is a host of recipes and all kinds of things you can do. I’m keeping this simple though, I just want these guys seasoned and cooked so I can eat ’em up. So grab yourself a pack of burger patties and let’s get going. Line a baking sheet with foil and place a grilling rack on top of the pan. Place them in the oven and bake at 400 degrees for 15-30 min. I think I baked mine for 15 minutes and checked them, flipped them and baked them a little longer until they were cooked all the way through. 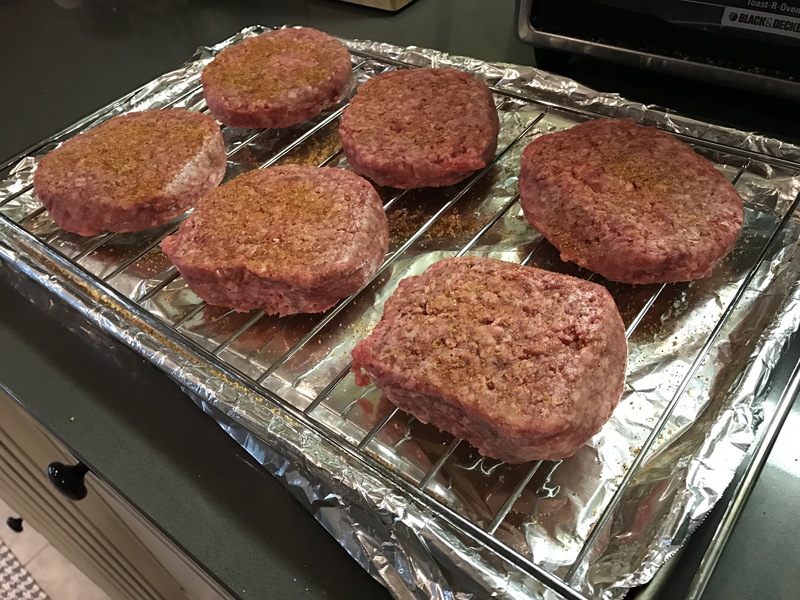 The thinner your burgers are, the quicker they will cook. 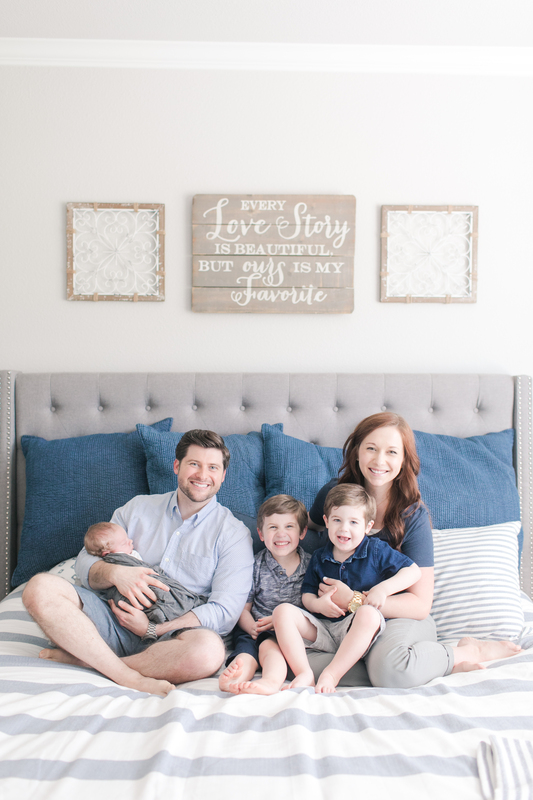 Easy and done! 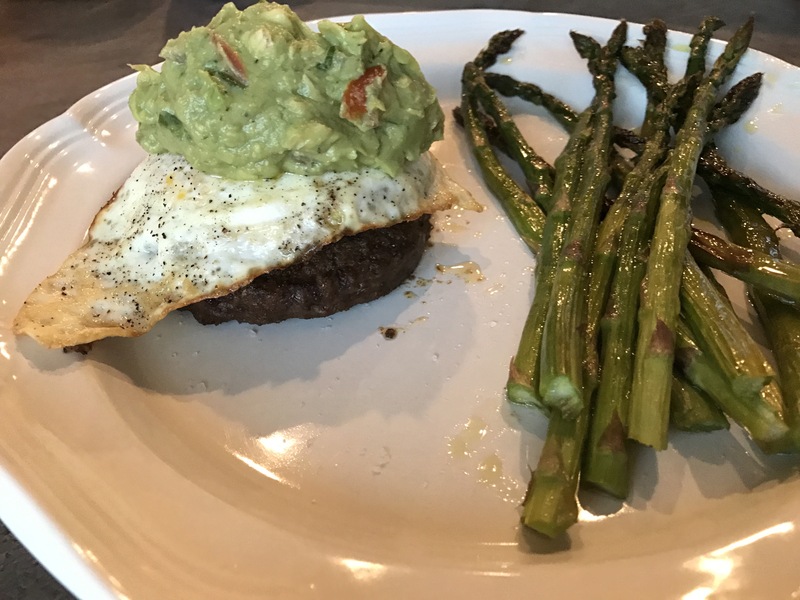 We topped ours with some guacamole and a fried egg, just keeping it simple tonight with some roasted asparagus! You could obviously do whatever burger toppings are your fave, and even melt some cheese on these bad boys in the oven the last few minutes they cook! Hope you enjoy them!